Is Folate in Food Safe for MTHFR Mutants? | To Health With That! Yes it is quite interesting that folic acid helps prevent neurological birth defects in some and is toxic to other’s it seems. I know I haven’t always had these digestive issues. I loved a Big Sandwich back in the day. Could their inception coincide with folic acid addition to the food supply?…If I think back, I say yes, its very possible. Can folic acid be in foods if it’s not listed on the label?…hidden in the wheat or rice flour say? I am suspicious of vinegar & sugar fermentation with mthfr….water kiefer and stuff fermented in salt water I’m ok with. It would be interesting to see microbiome comparisons of people with mthfr and people without. Lots of variables, so its tough. Maybe these gut tests like Viome or Day Two will help sort some of it out. 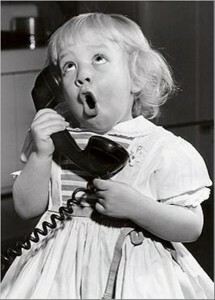 Do you smell chemicals being used down the street?….or have to open windows in house when cleaning? More mthfr genetic warning signs you think? Does folic acid in the diet of Mthfr Mutants ( Mmen 🙂 directly cause higher homocysteine levels in them? I am Homozygous A1298C and my homocysteine is high. I have taken methylated B’s with no lowering result, but I haven’t cut out folic acid ( it’s hard, it’s in everything good/bad). I’m wondering if subtraction is better than addition in this case? Great question, and a really tricky subject. I haven’t seen any research specifically on the effects of folic acid on homocysteine levels in MTHFR mutants. But, there aren’t many studies for MTHFR mutants in terms of what might be clinically helpful for us, there are mostly studies on how our genetics interact with disease risk. The one thing I do know is that all the folic acid you take in has the potential to bind with your methyltetrahydrofolate receptors and block useful folate from getting to them (this is why the switch from folic acid to folate is so important.). To me, this suggests that by continuing to have folic acid exposure you’re likely to be blocking the effects, at least partially, of the methylated Bs that you’re taking. Also, this effect would be dose-dependent, so the more folic acid fortified foods you eat, the stronger the blocking effect. It also could be that you haven’t yet reached the best dose of methylfolate for you and your body is still struggling to make up the deficit. Clinically, it seems like the A1298C mutation is far more corrolated with high homocysteine levels and that those levels do typically respond to methylated B vitamins, so it could be simply a case of needing a higher dose. HAving said that, if you’re a carb-a-holic or most of your diet is prepackaged foods, then you probably have to moderate because for your genetics it just isn’t sustainable long-term. Does that make sense? Yes it does Amy, thanks :). I wonder if folic acid is the true culprit here?.. not the over hyped bread bad -gluten. Especially to those who are negative for celiac disease but are told ” you are probably gluten sensitive ” No way it’s the man made folic acid because the FDA says thats good for us, it’s “fortified” , “Enriched”…guess again ! On a personal note, Ive noticed by cutting out my folic acid consumption my chronic shallow spasmatic burping after eating has stopped. Just the other day I heard Ben Lynch say (an Mmen) that’s one of the reactions folic acid can cause in somebody with mthfr. I think it’s not an allergic reaction(no throat itching) but a nervous system reaction. It’s like my gut-brain is saying get this man made folic acid out of here mike! One more when you have a moment Amy. How about fermented food consumption and mthfr? That would include all forms of fermentation. It is such an interesting question because folic acid fortification in foods has had a tremendous positive health impact for the population as a whole, but there is a growing suspicion that for some people, it’s highly detrimental. I would include all of us MTHFR folks in that “some people” category.So interesting your nervous system response to folic acid – I think our bodies are constantly trying to tell us what they want and don’t want, it’s just so difficult to interpret the signs sometimes. In terms of the fermented foods – I’m a big fan. Fermentation is a great way for foods to be a bit pre-digested and often cultured with healthy bacterium and yeasts. For MTHFR people I think it’s especially important because this can boost our micronutrient intake in a way that is very accessible. I love the Westin Price research on fermented foods – if you’ve never looked into his work it’s fascinating. Here’s the website, and I consider Sally Falon’s book Nourishing Traditions to be a staple of every healthy household. I was diagnosed as heterozygous for the A1298C Mutation 3 years ago. I am a power lifting female who is very conscious about heart health and a healthy diet. Additionally, I REALLY want a family in the near future and want to do everything I can to prevent difficulty in conceiving. My doctor has me taking vitamins that have methylated B’s in them (Nature’s Way – Alive), Methylcobalamin, and also a folic acid supplement. 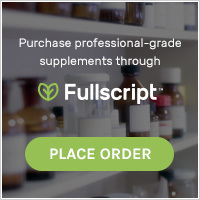 After reading this article about foods rich in folic acid being unsafe due to the “competition on the receptors” between folic acid and folate… I am wondering why I am taking folic acid as a diety supplement every day. I do not plan on stopping this, as my blood work has been good yearly since I have started following my doctors orders. But I am curious as to why I should avoid folic acid rich foods. Or… is it possible that because I am heterozygous for this mutation… that folic acid is safer than someone who might be homozygous? Or other forms of this mutation. My C677T test was negative (normal). Would it be possible for you to email me? I don’t know that I’ll be back on this site to check your response. Great question! The way I understand your situation is that you have one (out of four total) bad copy of the MTHFR mutation, specifically in the A1298C gene. In terms of having an MTHFR mutation, this is more than likely the best possible scenario.If you had two bad copies of that same gene your methylation function would be reduced about 30%, so with one bad copy your reduction is less than that. This means you have greater than 70% methylation function, which is great. Natural forms of folate or synthetic 5-LMTHF do compete at the receptor site with folic acid, so typically I have MTHFR folks try avoiding folic acid because the competition reduces their likelihood of being able to use the active folate. Some doctors try to correct this problem by doing an extremely high dose of folic acid, with the idea that if there is a ton of it then it doesn’t matter if your methylation is poor or not because there is enough there to get through the pipeline. Often in this scenario, we see good numbers on homocysteine, B12, but extremely high folate on blood work. In your case, if your numbers are good, symptoms are good, you’re not having any know methylation issues and you’re working with a doctor who is handling it, then keep doing what you’re doing. If at any point you start noticing some issues or your numbers start to slide, then swapping a good, active 5-LMTHF instead of the folic acid might be a good place to start. I hope this helps! A relative had a stroke last year and over Christmas this year she said she had the MTHFR C677T mutation. I used by 23andMe results to check mine and I also have it. I’m 34 and my husband and I are wanting to start trying for a family, but everything I’m reading sounds really alarming. I’m not sure what my next steps should be for my own heart health and future pregnancy. Any recommendations on who I should see first as far as a dr and what tests I should be looking to order? First stop would be your primary care. Tell him or her what you have found and ask for basic assicated tests – blood folic acid and homocysteine as well as CRP are good places to start in terms of cardiac health and general info. Fertility is trickier. If you can find someone in your area who has experience with MTHFR and pregnancy that would be helpful. If not, then try starting here and introducing your own methylfolate and associated B vitamins. The important thing is to make sure your body is getting enough methylfolate and utilizing it effectively. As an option of last resort, I do take remote clients for MTHFR coaching, but it’s always best to find someone in your area if you can. Thank you sooo so much for this source! Not sure if this is an active chain but really could use some help getting my MTHFR A1298C Homozygous Mutation sorted out. My homocysteine levels did not come back elevated. I found this test because my functional medicine doctor had been working with me for a year on dealing with leaky gut, adrenal fatigue, and severe acne (which I have suffered from since the age of 12 and seen moderate improvement but in no way has it gone away.) After a year with her, and as a 20 year old I decided to take my continuing adult acne into my own hands, did a little research, and came to MTHFR. I have now been taking Xymogen’s 5Mthfr supplement for 3 weeks and have noticed little to no improvement in my acne, which I now track and see a significant flare up around ovulation each month and significant clear up nearing my period (estrogen conversion can be one of the impaired processes in MTHFR right?) Anyways she had me taking 2 capsules a day, in combination with Indole 3 caribinol and Eloplex (not sure if you are familiar with this it is by progressive labs) I am thinking of taking my dosage down to 1 5MTFR daily as well as 1 Indole 3 caribinol daily and keeping eloplex at 2 a day. Any other recommendations? So glad I found the problem now really looking to see a solution that work! Acne is a hard one because MTHFR is one of the things that influence estrogen metabolism, but there are probably 500 other things. Ha! Go figure. Sounds like you’ve made a good start – the other thing you might want to look into is seed cycling – it’s so simple and gentle but so remarkably effective for symptoms like this. Especially when there is such a clear correlation with your cycle. With hormones, change is probably not going to happen in 2 weeks unless you’re using a sledge-hammer like birth control pills, which basically just take over your body’s hormonal processes. The natural ways all change more slowly. You could see changes within the first month, but honestly, you probably won’t have a good feel for long-term effects until three months or more. Keep me posted – I’d love to know how it all goes for you. Thank you so much for the response. I will definitely try the seed cycling right away. My functional medicine doc said I should take 1,000mg of B6 to aid the liver with skin issues… do you agree with that? I think the B6 is worth a shot, but make sure you’re doing some other liver-supportive things too! Any natural folate, including Orgen-FA should be suitable for MTHFR folks. Natural folate comes in many different forms, but it should already be active and bioavailable and so bypass the MTHFR enzyme (which is what we don’t do very well). I hope this helps! I haven’t spoken with too many people who are taking this particular form of folate so I’d love to hear how it goes for you if you get a chance. Pingback: Am I Overmethylated? MTHFR Questions. | To Health With That! Following for answers about the most recent question..
Hi, I was just wondering what the dangers of folic acid where that you mentioned above. I didn’t see anything more in-depth about that and I am curious. My sister and her kids are vegan and the kids all tested extremely HIGH for B12, even though they don’t supplement. I think a couple of them (2 of 4) were found to have a MTHFR mutation, but don’t know the details. Wondering if folic acid that’s commonly added to fortified foods could cause a buildup of B12 and if the MTHFR has anything to do with that? Interesting! So – the B12 testing *might* be related to MTHFR and folic acid fortified foods, but B12 is different from folate, so it also might be unrelated. One of the things I look for in vegans is how much supplemented foods are they eating? Lots of the vegan-specific foods are fortified with B12 specifically (or nutritional yeast) because it’s generally hard for vegans to get enough, so it could be that? Do you know if the kids who had the MTHFR mutation were higher or lower than the kids who didn’t? In terms of the risks of folic acid – we’re really still learning about this, but there seems to be some mixed studies out there showing negative effects on cancer etc… Here’s a good link with more information. If it’s truly a food-sourced folate then I think you’d be great with it. The labeling laws are a little tricky so “folate” can unfortunately mean a lot of things but as long as you check with the company and make sure it’s all from food sources then it sounds like a great plan to me. Also you can try increasing your dietary intake using foods high in natural folate – here’s a whole post about it. Let me know how it goes! I have tested positive for MTHFER but when I take methylated folic acid I am very stimulated and can not sleep for at least 30 – 40 hours. I am usually very tried but this was too much and it did not wear off. God I feel your pain – 5MTHF can be so difficult to start. Did you start with a low dose? For people who are ultra sensitive to the methyl folate there are a couple of options. One is to start with an incredibly low dose – find a 400 mcg capsule, open it and divide the powder into smaller parts – I had one client who divided hers into 10 parts and started with just one of those per day. Ridiculous and slightly difficult, but it might get you there. The other thing you can try is eliminating all folic acid supplemented foods and adding food sources of folate (which are the active form). 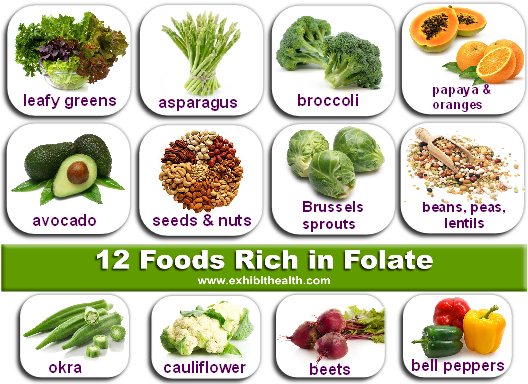 I’ve got a whole post on folate in food here. Let me know what happens! Hi Amy, After trying to conceive my 2nd child for a 1.5 years and having 2 miscarriages, I was tested for MTHFR. I tested heterozygous for both C667T and A1298C (one copy of each). My Dr prescribed a prenatal plus 3mg daily of folic acid, not folate. After all this research it is clear that I should be taking folate but I’m just not sure how much to take. My Dr is wonderful but seems to use the terms folic acid and folate interchangeably. I also have pernicious anemia and I’m on monthly B12 injections. I also currently take a low dose of medication for hypothyroid. If there’s any support or thoughts you could offer, it would be greatly appreciated! Sadly it’s really common for doctors to believe that folic acid and folate are interchangeable, even though they are distinct substances. This is simply because for people without the MTHFR mutation, they are interchangeable. It’s really just us mutants who have a problem. It might be a good idea to take your doctor some literature on the difference between folate and folic acid, or at least the basics of the MTHFR mutation. There are plenty of great 5-MTHF supplements that you could talk with your doctor about substituting, and look into a good methylated prenatal. The one I used in my pregnancy was Thorne Research Basic Prenatal. Each dose of 3 capsules have 1 mg methylfolate. Good luck to you! Could one with MTHFR SNPs get all the folate they need through food or is it necessary to supplement for optimal physical and mental health? My family of four (including me) have SNPs and my kids and husband have ADD. I’ve read that MTHFR mutations play a role in mental health as well. I think for basic bodily functions it’s entirely possible to get all the folate you need from food sources, but when there are more complex mental health issues like ADD it may not be easy to get enough from food to make a difference with symptoms, if that makes sense. Something like ADD might respond better to a combo of food sources and supplements. Meditation really helps too – although it’s possibly the hardest thing for people with ADD to learn, it’s really valuable long-term. My genotype came back as C/T A/C and under “predicted phenotype it says “greatly reduced activity” on a card I am suppose to keep in my wallet. Can you help me understand what this is…the C/T A/C? Fantastic resource for those with MTHFR. It can be difficult for some to identify which foods have folic acid and which have naturally occurring folate. Supplements are another thing to keep in mind, avoid folic acid and look for folate instead.